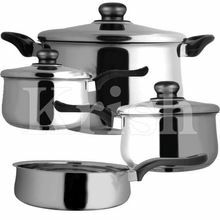 Aluminium Casserole (Patila) with Lid Casseroles are designed on state of the art machines with heavy bottoms for better cooking. 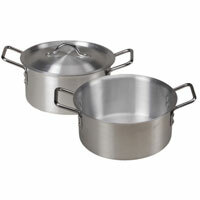 The perfect matching lids give no room for any energy losses while cooking food. Available in Bakelite & aluminium handles to suite everyday use in modern dayâ��s kitchen. 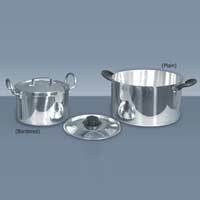 Backed by the years of experience and vast knowledge, we are engaged in importing, trading, supplying and exporting a wide range of Aluminium Casserole in Ahmedabad, Gujarat, India. 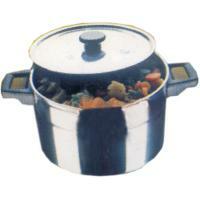 The entire range of casserole is designed and made using high grade raw material that makes them durable. We have reasonably priced our range. 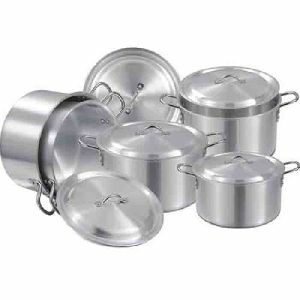 Keeping the food hot for longer time, our Aluminum Casseroles are highly acclaimed amidst the clients globally. 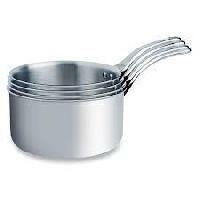 We are thus named as a famous Aluminum Casseroles Manufacturer, Exporter, and Supplier in Odisha (India). 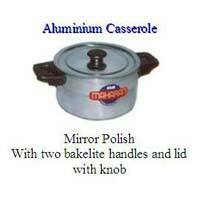 The range of our Aluminum Casseroles can be availed at very reasonable prices. 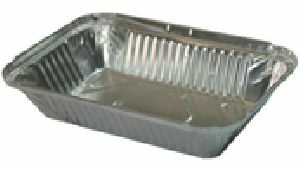 We are a manufacturer and supplier of Aluminum Casserole.